Imagine staying in a villa steps from the beach in Costa Rica. Casa Oceano a beautiful home with a breathtaking view of the Pacific Ocean was the background for Christine & Sky’s wedding. 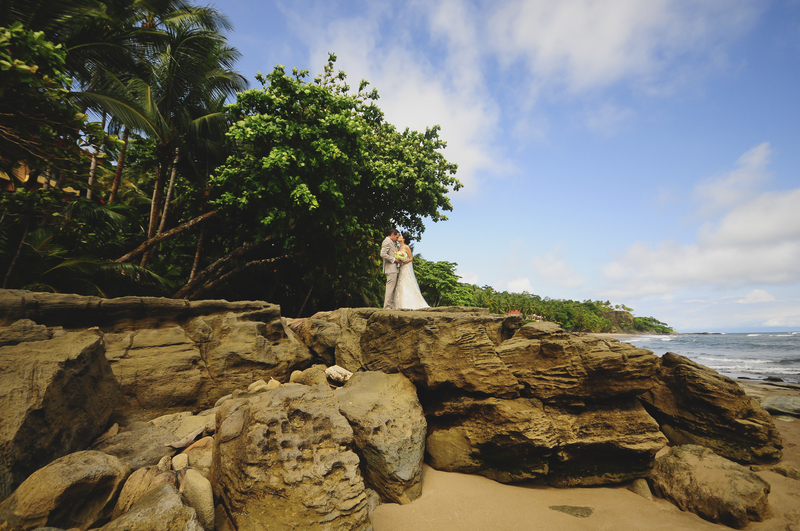 Having a wedding during green season can be tricky but they were blessed with a sunny day, pristine beach and surrounded by family and friends. Christine and Sky decided after fourteen years of being together to tie the knot . Christine was finishing up her dissertation for her PhD. 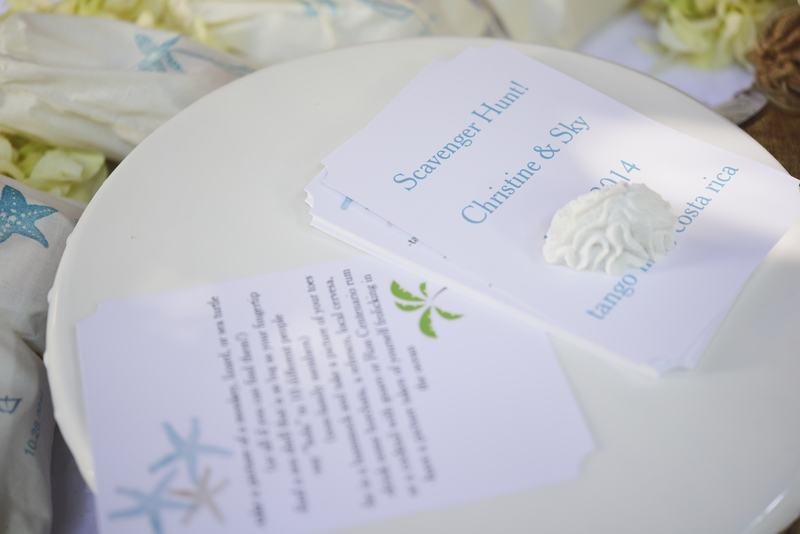 She had lots of ideas and twists to make this day special for her guests and family. Sky was the point person working with the planner to incorporate everything into the time line. They opted for a noon wedding with the festivities lasting into the evening. 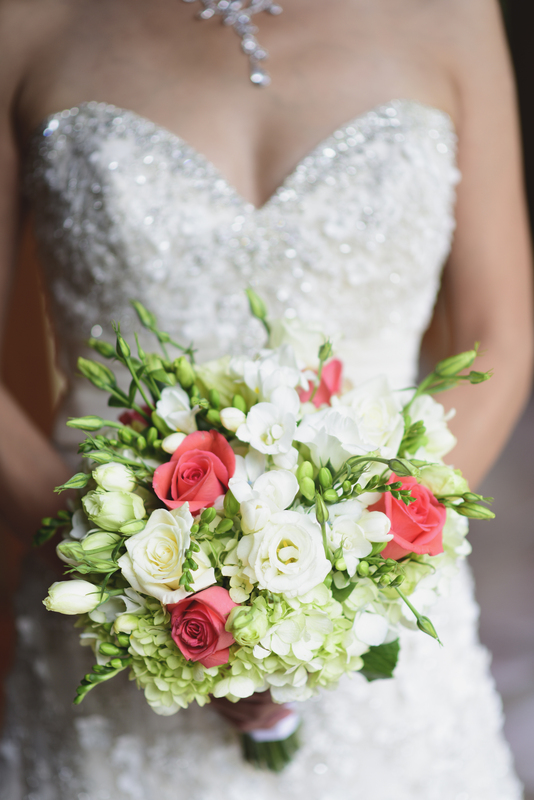 Flower decor incorporated ivory and coral using primarily hydrangeas, roses and orchids. 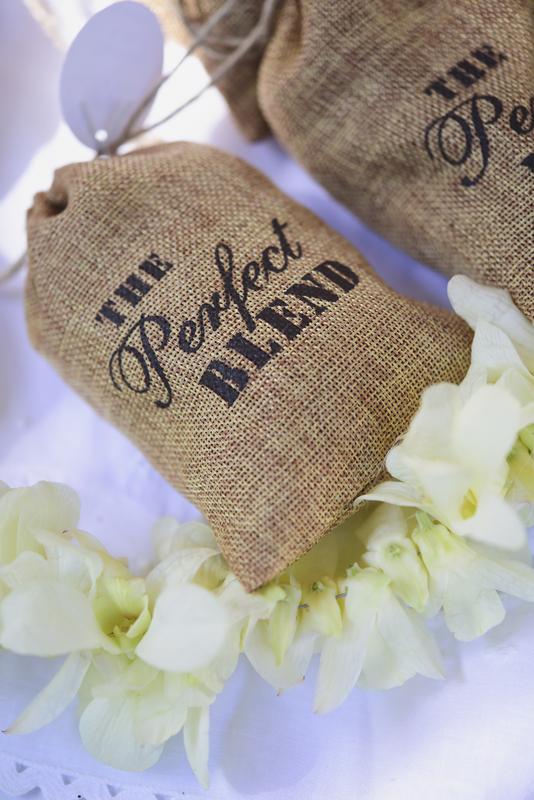 Guests were also treated to bags of coffee and wine stoppers. 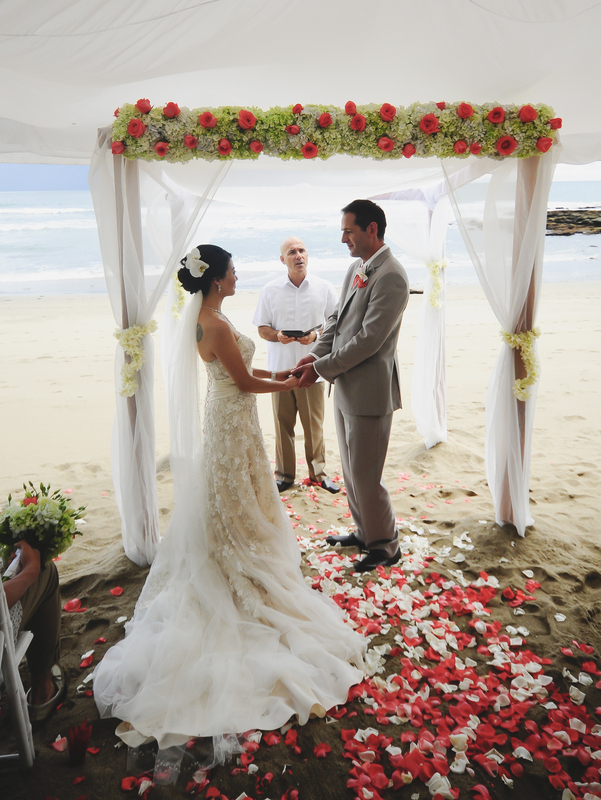 Besides traditional vows there was also a sand ceremony. 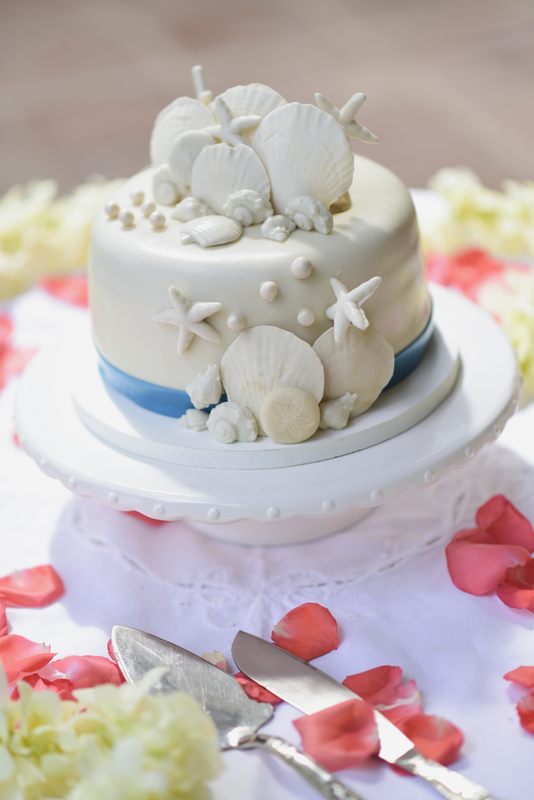 Lunch was served on the patio followed by cutting the sea shell inspired cake and then a scavenger hunt. There was a break to relax and go for a swim. A local marimba band provided music for the cocktail hour. After some dancing everyone adjourned for a lobster and fish dinner. There were toasts, laughter and more dancing. 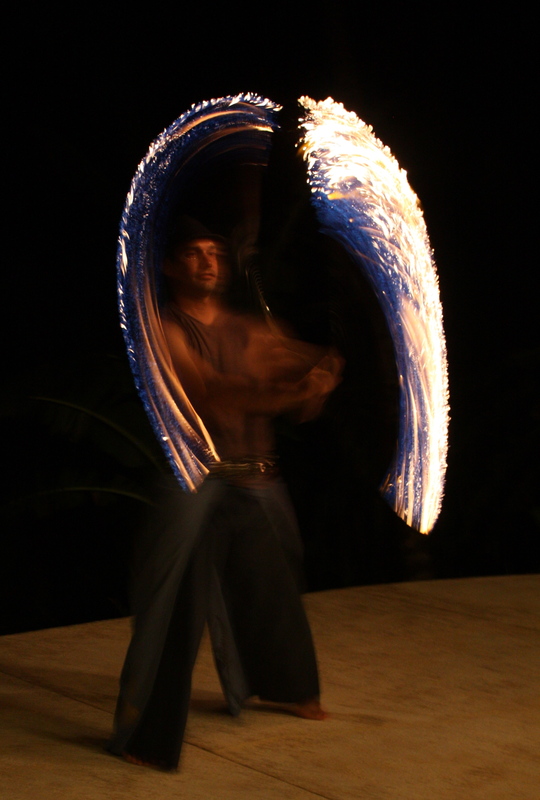 Another surprise was a duo of fire dancers. 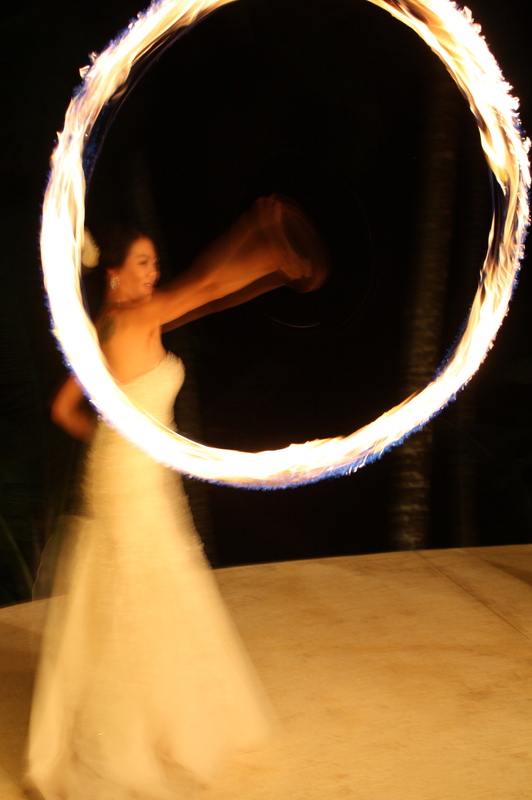 The couple got into the act and showed they could spin with fire. Wish lanterns were brought out for the guests to send skyward and the event ended with a bonfire on the beach. Thanks to El Velo and Vicky Longland for the great photos. 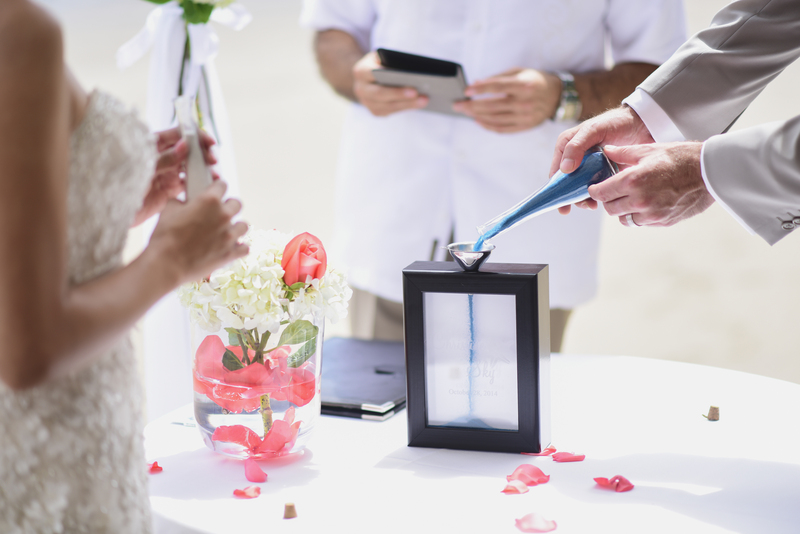 This entry was posted in Beach Wedding, fire dancers, Wedding Cakes, Wedding Ceremony, Wedding Favors, Wedding Flowers, Wedding Locations, Wedding Music, Wedding Reception by Randy Gritz. Bookmark the permalink.